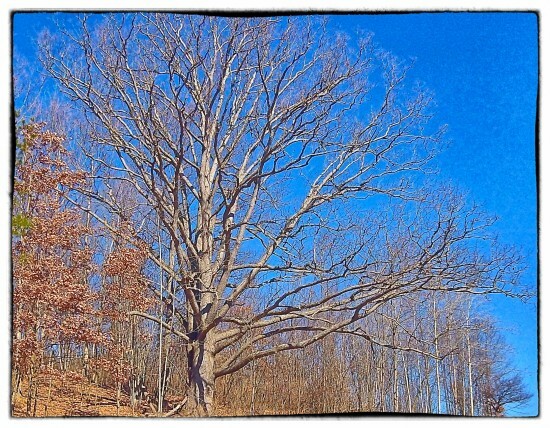 Every day that my “Boomer Walk” takes me up Cardiac, I admire, and stand awestruck by this massive oak. Today someone I follow on Facebook posted that she saw red-winged blackbirds for the first time this spring. I get more excited for the blackbirds than I do the robins, I think. The male redwings come first and pepper the trees and startle me with the sheer audacity of their loudness after the birdy quiet of winter. Someday soon (sadly, not today) this oak will be filled with them. I cannot wait.